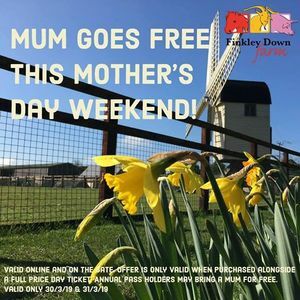 Mums, Aunties and Nans can visit Finkley Down Farm FREE when accompanied with a full paying admission (online or on the door) on Mothers Day Weekend. 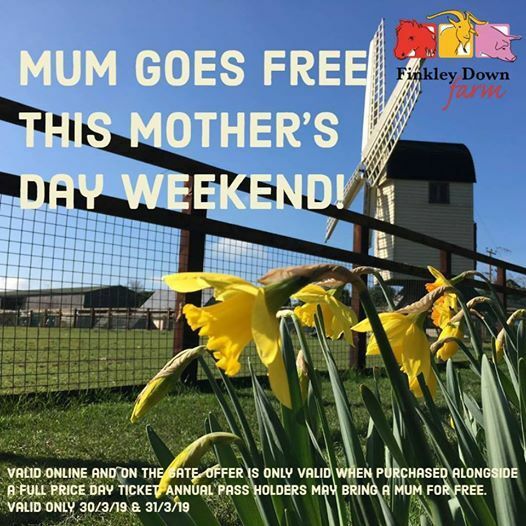 Offer available online and on the gate - use code mothersday19 at the online checkout. One Mum can be booked per transaction. Offer is only valid when purchased alongside a full price day ticket e.g. child, adult, senior citizen etc. Not valid for group bookings.